There’s plenty of great research being done on HRV and its application to sport’s training. I’ll do my best to keep you apprised of the latest findings by periodically compiling abstracts of relevant studies. Unfortunately, I don’t have access to many of these newer studies and therefore will reserve comments until I do. In the meantime, check out the abstracts of some of the most recent research on HRV and athletes. 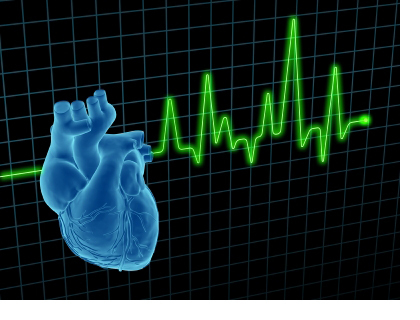 Background The use of heart rate variability (HRV) in the management of sport training is a practice which tends to spread, especially in order to prevent the occurrence of fatigue states. Objectives To estimate the HRV parameters obtained using a heart rate recording, according to different exercise impacts, and to make the link with the appearance of subjective fatigue. Methods Ten senior runners, aged 51 ± 5 years, were each monitored over a period of 12 weeks in different conditions: (i) after a resting period, (ii) after a day with training, (iii) after a day of competition and (iv) after a rest day. They also completed three questionnaires, to assess fatigue (SFMS), profile of mood states (POMS) and quality of sleep. Results The HRV indices (heart rate, LF (n.u. ), HF (n.u.) and LF/HF) were significantly altered with the competitive impact, shifting toward a sympathetic predominance. After rest and recovery nights, the LF (n.u.) increased significantly with the competitive impact (62.1 ± 15.2 and 66.9 ± 11.6 vs. 76.0 ± 10.7; p<0.05 respectively) whereas the HF (n.u.) decreased significantly (37.9 ± 15.2 and 33.1 ± 11.6 vs. 24.0 ± 10.7; p<0.05 respectively). Positive correlations were found between fatigue and frequency domain indices and between fatigue and training impact. Conclusion Autonomic nervous system modulation-fatigue relationships were significant, suggesting the potential use of HRV in follow-up and control of training. Furthermore, the addition of questionnaires constitutes complementary tool that allow to achieve a greater relevance and accuracy of the athletes’ fitness and results. Edmonds, RC., Sinclair, WH., and Leicht, AS. (2012) The effect of weekly training and a game on heart rate variability in elite youth Rugby League players. Proceedings of the 5th Exercise & Sports Science Australia Conference and 7th Sports Dietitians Australia Update. 5th Exercise & Sports Science Australia Conference and 7th Sports Dietitians Australia Update Research to Practice , 19-21 April 2012, Gold Coast, QLD, Australia , p. 183. Introduction: To date, the majority of research related to rugby league has investigated movement patterns, injury mechanisms and the effects of training workload and a game on player fatigue. Interest in monitoring player workloads and recovery has increased recently, with heart rate variability (HRV) proposed as an important monitoring tool in both individual and team sports [1, 2]. Due to the high physical demands associated with rugby league, monitoring alterations in cardiac autonomic control via HRV may lead to improved player management and enhanced performance. The aim of this study was to investigate the influence of weekly training and a competitive game on HRV in elite youth rugby league players, and to identify the importance of HRV as a monitoring tool for Rugby League player preparation. Methods: Youth rugby league players (n=9) were monitored during supine rest (10 min) at 2 days prior to a game (Pre-2), day of the game (Game Day), and 1 (Post-1), 2 (Post-2) and 4 (Post-4) days following a game. Heart rate (HR) recordings were recorded via a chest strap transmitter with beat-by-beat intervals during the last 5 min of supine rest analysed for time domain, frequency domain (low frequency [LF], high frequency [HF]) and non-linear measures of HRV. Player daily training load was calculated from players’ rating of perceived exertion and session duration as previously described (Foster, 1998). Significant (p<0.05) differences in HRV over the monitoring days were identified via 1-way ANOVA and post-hoc pairwise comparisons with a Bonferroni correction or a Friedman’s test with a Conover post-hoc comparison, where appropriate. Relationships between HRV variables and training loads were identified using Spearman’s rank rho (ρ) correlation coefficients. Results: All time domain and nonlinear measures of HRV were similar over the 5 monitoring days except for mean HR, which was significantly greater on Game Day and Post-1 compared to Pre-2 (73.0 ± 5.7 and 80.1 ± 8.1 vs. 64.9 ± 8.7 beats per minute). On Game Day, LF and the ratio between LF and HF were significantly increased and remained elevated until Post-2 (Figure 1). In contrast, HF was significantly reduced on Game day and remained low until Post-2 (Figure 1). A strong negative correlation was identified between mean HR and training load on Pre-2 (ρ = -0.783, p < 0.05) with a strong positive correlation identified between HF and training load on Pre-2 (ρ = 0.700, p < 0.05). Conclusion/Discussion: Prior to a competitive game, elite youth, Rugby League players exhibited a significant reduction in HRV that was sustained for at least 24 hours post-game. This withdrawal of parasympathetic and/or increased sympathetic control of HR possibly may result from pre-match anxiety as well as the physical demands of the game. Strong relationships between HRV and training load at Pre-2 indicate that early monitoring may assist in identifying training workloads for the upcoming week. The current results support HRV as an important monitoring tool for managing training workload. Plews, DJ., Laursen, PB., Kilding & Buchheit, M. (2012) Heart rate variability in elite triathletes, is variation in variability the key to effective training? A case comparison. European Journal of Applied Physiology, 112(11): 3729-41. ABSTRACT: Measures of an athlete’s heart rate variability (HRV) have shown potential to be of use in the prescription of training. However, little data exists on elite athletes who are regularly exposed to high training loads. This case study monitored daily HRV in two elite triathletes (one male: 22 year, VO2max 72.5 ml kg min−1; one female: 20 year, VO2max 68.2 ml kg min−1) training 23 ± 2 h per week, over a 77-day period. During this period, one athlete performed poorly in a key triathlon event, was diagnosed as non-functionally over-reached (NFOR) and subsequently reactivated the dormant virus herpes zoster (shingles). The 7-day rolling average of the log-transformed square root of the mean sum of the squared differences between R–R intervals (Ln rMSSD), declined towards the day of triathlon event (slope = −0.17 ms/week; r 2 = −0.88) in the NFOR athlete, remaining stable in the control (slope = 0.01 ms/week; r 2 = 0.12). Furthermore, in the NFOR athlete, coefficient of variation of HRV (CV of Ln rMSSD 7-day rolling average) revealed large linear reductions towards NFOR (i.e., linear regression of HRV variables versus day number towards NFOR: −0.65%/week and r 2 = −0.48), while these variables remained stable for the control athlete (slope = 0.04%/week). These data suggest that trends in both absolute HRV values and day-to-day variations may be useful measurements indicative of the progression towards mal-adaptation or non-functional over-reaching. ABSTRACT: Functional overreaching (FOR) represents intense training followed by a brief reduction in performance, then a rapid recovery (<2 wk) and performance super-compensation. Non-functional overreaching (NFOR) occurs when the reduced performance continues ≥ 3 wk. Heart rate variability (HRV) is a promising tool for detecting NFOR. In this study, we examined HRV thresholds in 34 elite women wrestlers (mean ± SD: age 23±3 yr; height 165.6±6 cm, weight 63±8 kg) for FOR/NFOR during training before 11 major competitions. Supine HRV was analyzed weekly at the same time of day using time and frequency domain methods. We observed that the time domain index, square root of the mean of the sum of the squares of differences between adjacent RR intervals (rMSSD, ms), denoting parasympathetic tone, showed those responding normally to training (82.76 ms, 95% CI 77.75, 87.78) to be significantly different to those showing a decrease (45.97 ms, 95% CI, 30.79, 61.14) or hyper-responsiveness (160.44 ms, 95% CI, 142.02, 178.85; all, P< 0.001). Similar results were observed for mixed sympathetic and parasympathetic signal standard deviation of the NN intervals (SDNN, ms): Normal (65.39; 95% CI, 62.49, 68.29), decrease (40.07; 95% CI, 29, 51.14), and hyper-response (115.00; 95% CI, 105.46, 124.54; all, P< 0.001) and synonymous frequency domain components. An examination of the 95% CI shows a narrow band surrounding a normal response compared to broader bands accompanying adverse responses. Thus, severe perturbations both above and below normal responses lasting >2 weeks indicated an athlete’s transition to NFOR and, hence, are useful for assessing possible overreaching/training. This study aimed to evaluate if androgenic-anabolic steroids (AAS) abuse may induce cardiac autonomic dysfunction in recreational trained subjects. Twenty-two men were volunteered for the study. The AAS group (n = 11) utilized AAS at mean dosage of 410 ± 78.6 mg/week. All of them were submitted to submaximal exercise testing using an Astrand-Rhyming protocol. Electrocardiogram (ECG) and respired gas analysis were monitored at rest, during, and post-effort. Mean values of VO(2) , VCO(2) , and V(E) were higher in AAS group only at rest. The heart rate variability variables were calculated from ECG using MATLAB-based algorithms. At rest, AAS group showed lower values of the standard deviation of R-R intervals, the proportion of adjacent R-R intervals differing by more than 50 ms (pNN50), the root mean square of successive differences (RMSSD), and the total, the low-frequency (LF) and the high-frequency (HF) spectral power, as compared to Control group. After submaximal exercise testing, pNN50, RMSSD, and HF were lower, and the LF/HF ratio was higher in AAS group when compared to control group. Thus, the use of supraphysiological doses of AAS seems to induce dysfunction in tonic cardiac autonomic regulation in recreational trained subjects. This entry was posted in Heart Rate Variability and tagged heart rate variability, HRV, research, studies. Bookmark the permalink.